John B. Harris joined the SIGNiX team as Director of Product Management in 2012, was promoted to Senior Vice President of Product Management in the summer of 2014, and then promoted to Chief Technology Officer in January, 2016. 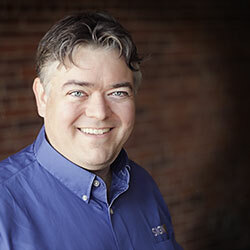 John is responsible for SIGNiX’s technology mission and drives business goals by developing strategic direction, managing IT assets and innovating unique solutions. John also focuses on rigorously tying customer needs, industry trends, and technology innovations to specific product requirements, while also contributing to SIGNiX’s marketing efforts and increasing profitability by driving a product strategy that enhances SIGNiX’s leadership position. Most recently, John managed Adobe Systems’ broad electronic signature and approval capabilities across a range of client and server-side products, from click-thru approvals to complex digital and certification signatures. He broadened Adobe’s digital certificate trust programs in Adobe® Acrobat® and Reader® to include commercial and government certificates from around the world. Harris also directed efforts to bring Adobe’s enterprise power to bear on smartphones and tablets – technologies that have made a profound impact on user experiences in the past few years. Prior to Adobe, Harris spent 10 years managing biometric, encryption, and strong authentication products at Sony Electronics and Thomson-CSF. How much could you save by switching to electronic signatures? Find out with our ROI worksheet.